As the press materials that accompanied this record from Athens-based Antlered Aunt Lord so aptly describe it, the band (essentially Jesse Stinnard) is “the missing link between the Pixies and The Byrds if they’d been raised in the Appalachians.” No truer statements has ever been written in a press release. This oddball collection of nearly 20 songs is the perfect anecdote for what passes an “Indie Rock” today, which is more often than not just mainstream dad rock released by a major label masquerading as “alternative”. The songs on “Ostensibly Formerly Stunted (An on Fire)” are layers and layers of sound collages backing melodic choruses and quirky lyrics. Speaking of lyrics, Stinnard’s wording sounds appropriately enough like fellow Athens neighbor Michael Stipe’s early utterings, equally confounding, but just as memorable. 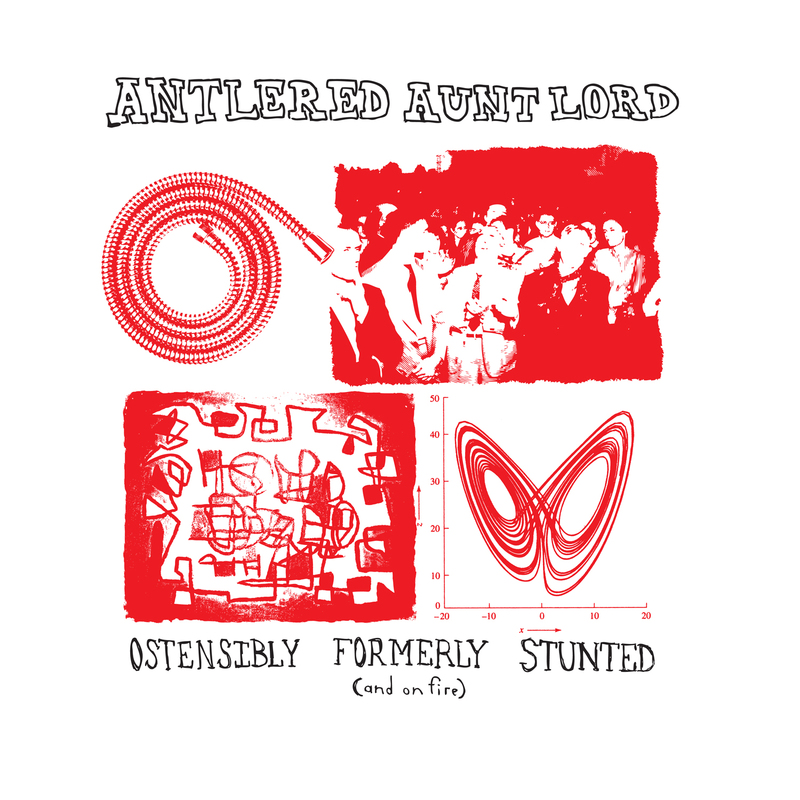 Antlered Aunt Lord is certainly not for everyone, but absolutely perfect for some. Keep on keepin’ on you beautiful weirdoes!